Telstra has been temporarily locked out of 262 of its telephone exchanges throughout Queensland, according to a bulletin issued yesterday to its wholesale customers, with exchanges in areas such as Edison, Ipswitch and Fortitude Valley actually at risk of power loss or the facilities themselves being flooded. The bulletin was published anonymously online yesterday as ‘Deployment #2605’, but its authenticity was verified this morning by a Telstra spokesperson. The document states that the Edison and Ipswitch exchanges are at “significant risk” from flooding or power loss, and the Fortitude Valley exchange was at “moderate risk”. 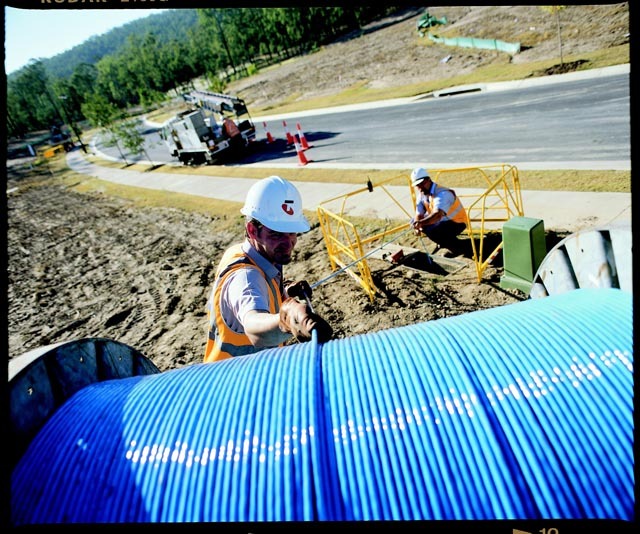 The news will not only affect Telstra’s efforts to reconstruct its network in the state — but also those of other telcos such as Optus, iiNet, Internode and TPG, which also have their own infrastructure in Telstra exchanges. The document does not mention for how long Telstra will be dealing with limited access to affected areas, but it reports the telco will be issuing daily bulletins to update its customers on efforts to manage and restore services to the region. Telstra’s mobile towers, according to the document may be placed onto battery reserve power, whose duration will depend on access to sites to charge the batteries, and on the restoration of power in the CBD. Also, a certain number of areas in the immediacy of the CBD will be placed on to back-up power, in order to preserve landlines and other services. In a separate statement, Telstra acknowledged today that its biggest challenge continued to be power and access to its sites, as well as damage by flood waters to its infrastructure. “This has led to an increase in the number of customers experiencing issues with their landline, mobile, and broadband/Foxtel services,” the telco said. Access to sites is severely restricted in the Brisbane and Ipswich areas due to flood waters, however with waters receding in some areas Telstra will, where possible, make repairs in the Brisbane Valley, Lockyer Valley, Ipswich and Gympie/Pomona areas today. A number of key telephone changes in and around Brisbane — including the Charlotte, Edison and Woolloongabba areas were actually manned overnight at some stages to ensure vital communications got through — especially to emergency services organisations. Look out for Delimiter’s round-up update on the current state of telecommunications networks in Queensland later today. Locked out, or restricting access? The two are hardly the same, Renai.